Save yourself time and money by getting all of the necessary items prior to arriving at your destination. Below is a summary of all my ride or die travel gear essentials. Everything listed below is something I personally own, use, love, and recommend. + CAMERAS. I always bring at least one camera with me on all trips, usually my Canon 6D. I have shot on Canon my entire life so I generally prefer this to other options. Click here to see my Canon 6D. I also own and use a Sony a7II which is a full frame mirrorless camera. It is smaller and also newer, with much better low light and video capabilities. Click here for my Sony a7II. Note: If you are in the market for a full frame Canon dSLR, the 6D is fantastic but outdated at this point. My next upgrade will be the Canon 5D Mark IV. + LENSES. For my Canon, I almost solely shoot with a 35mm lens. It is incredibly sharp and wide enough to capture landscapes while I am traveling. I very highly recommend it. Click here for my 35mm f/1.4L lens. When I am working with a hotel and therefore need something wider in order to be able to capture the entire room, I use the Canon 16-35mm f/4L. With my Sony I use the Sony 35mm F2.8. + UNDERWATER CAMERA. While GoPros are not my camera of course, I do own one and use it when I need something waterproof or plan on being underwater (like to swim with dolphins!). Click here to see the latest prices. + TRIPOD. To be honest I don’t use a tripod often but when I do I use the MACTREM PT55 Travel Tripod. Click here to see that. + WIRELESS SHUTTER REMOTE TRIGGER. For when you need to snap a pic off the tripod or elsewhere! Click here for the incredibly inexpensive one I use. + FLASH. Non-beginner cameras do not come with a flash yet sometimes they are needed (hotel photography, for example). Click here for the one I use. + SD CARDS. Always bring back up! Make sure they are at least class 10 so that your camera can keep up. Click here for the ones I use. + EXTERNAL HARD DRIVE. I always bring an external hard drive (or two) and make sure to back up my photos at least every night. This is a must - you never know what might happen. Click here for my external hard drives. + ADOBE LIGHTROOM. I use Adobe Lightroom on desktop to edit all of my photos. Click here to see the latest prices. + STYLISH CAMERA BAG. I never go anywhere without mine! It is incredibly important to protect your camera gear but I don’t think you should sacrifice your style to do it. Click here for my stylish camera bag roundup. + IPHONE. Can’t live without it! I use it to take and edit all of my pics and videos for my Instagram story, plus many other things. Click here to see the latest prices. + IPAD. I don’t always travel with this but it’s handy when I do! I generally bring it when I want the ability to watch content and/or read. Click here to see the latest prices. + EXTERNAL CHARGER. I keep one of these in my bag at all times because you never know when you’ll need a charge. Click here for the one I use. + ADAPTERS/CONVERTERS. Got to have these if you are leaving the country! Click here for the one I always pack because it works anywhere in the world. If you are going to the EU, I recommend also picking up a 6-pack of these! + WHITE LEATHER SNEAKERS. I walk a lot especially while traveling so having good shoes is incredibly important. These are handmade so they’re both comfortable and durable. So much so that you can wear them all day everyday and your foot will never tire of them (yes, I have tested that out countless times). They’re especially great for travel because they go with everything - dresses, skirts, jeans, leggings, literally anything! Click here to check availability (they are often sold out). Use code “CHRISTIE40” for $40 off your order. + ANKLE BOOTS. They are incredibly versatile and if you get the right ones they’re also incredibly comfortable! After countless years testing all over the world, my two recommendations are these (I own 5 pairs and could run a marathon in them) and these which I’m hoping to buy a second pair of! Click here to see a full list of my travel shoe recommendations. + ATHLETIC SNEAKERS. If you’re in the market for sneakers and haven’t tried Adidas UltraBOOSTs yet you are in for a treat! They feel like you are walking on clouds. 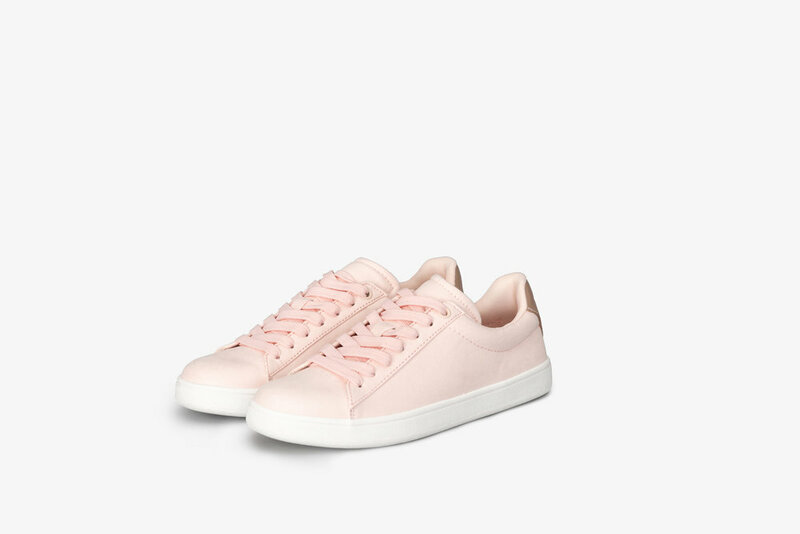 My favorite are the Stella McCartney x Adidas ones (click here for those) but the regular ones are just as good. Click here to see the latest prices. + COMFORTABLE LEGGINGS. Alo’s high waisted ones are the very best! You can workout in them, travel in them, even sleep in them. Click here for my favorite ones. + JEANS. Not all jeans are created equal and THESE are the best of all time. Click here to see the latest prices. They’re called “legging” but they aren’t — they’re jeans. They are the most comfortable, flattering, and durable! I almost never buy any other kind. + LBD. My favorite dress (I own in the totally sold out ivory color) is back in black! Click here to check availability. + SUNDRESSES. Click here for my favorite sundresses. I also shop for them here, here, and here. + BIKINIS. If you haven’t tried Boys + Arrows yet - you must. Their seamless bottoms are by far the most comfortable I have EVER tried (and I own over 50 bikinis). Click here for my favorite bikinis! I also love this brand (I have black + gold and the navy colorful one), this brand, this brand, and this brand. For my go-to inexpensive options, click here and here! + LIGHTWEIGHT TRAVEL CARDIGAN. This circle cardigan is honestly one of the best travel-related purchase I have made. I’ve brought mine on every single trip since purchasing it! It is so incredibly soft, warm and comfortable. I wear it everywhere but especially love it for transit days and hotel lounging! Click here to see the latest prices. + BLACK PASHMINA. A total lifesaver! It folds up small so you are able to easily throw it in any bag and it weighs basically nothing. However, because of the material it is capable of keeping you surprisingly warm in situations where you have mistakenly underestimated the weather. You can wear it as a scarf, wrap it around your body like a shawl, use it as a blanket on cold planes or trains, etc. - it serves so many purposes. I recommend a black one because black goes with everything and if it gets dirty along the way it will be way less noticeable. Pro tip: if you’re only bringing a small cross body bag with room for your wallet, tie it to the strap! Click here for J. Crew’s best selling version. + JACKETS. Click here for my favorite suede moto jacket (I have it in numerous colors), here for my favorite classic jean jacket, and here for this year’s version of my leather jacket. + LEATHER TOTE. I never, ever, ever travel without my Cuyana Leather Zipper Tote. It holds so much yet never feels as heavy as other bags! Click here to check it out. Wanna know my organizational tricks? Click here for how to organize your carry-on. + SUNGLASSES. Of course! Three timeless styles I’ve been wearing non-stop: click here for my favorite Quay aviators (I have numerous pairs), click here for my round Ray-Bans, and click here for my all time favorite black on black Ray-Bans that are often hard to track down because they sell out consistently. + FACIAL SPRAY. For hydration. Missha’s essence mist is the best because it contains fermented yeast extract which delivers vitamins, amino acids, and minerals to actually refresh, renew, and rejuvenate skin! It’s also conveniently available in travel size. Click here to see the latest prices. + REUSABLE WATER BOTTLE. Hydro Flask is the best because it keeps your drink cold (or warm). So worth the investment. PLEASE do not use single use plastic bottles! Click here to see the latest prices. + SILK SLEEP MASK. To block out light on the plane and in the hotel especially if I am traveling with someone who wants to stay up later than I do. Silk is anti-aging and great for your skin which is why it must be silk! Click here for the one I use and love. + HAND SANITIZER. Click here for my favorite plant-based and all natural one. + OIL STICK. I keep an oil stick in my bag at all times. It works great for under eyes and anywhere else you might need some extra nourishment. Click here to see the one I LOVE! + LAVENDER OIL. not absolutely necessary, but I travel with a rollerball of lavender oil to help me sleep and because it’s calming and doesn’t take up much space so why not?! Click here for the lavender oil I use. + SANITIZING WIPE. To wipe your seat and keep yourself/everything clean. Click here for the essential oil cleansing towelettes I recommend. + CLEANSING CLOTHS. For long travel days. Click here for a good option. + TOOTHBRUSH. Like Colgate Wisps to use once you land. DO NOT use the water in the bathroom on the plane! Click here for the Colgate Wisps. 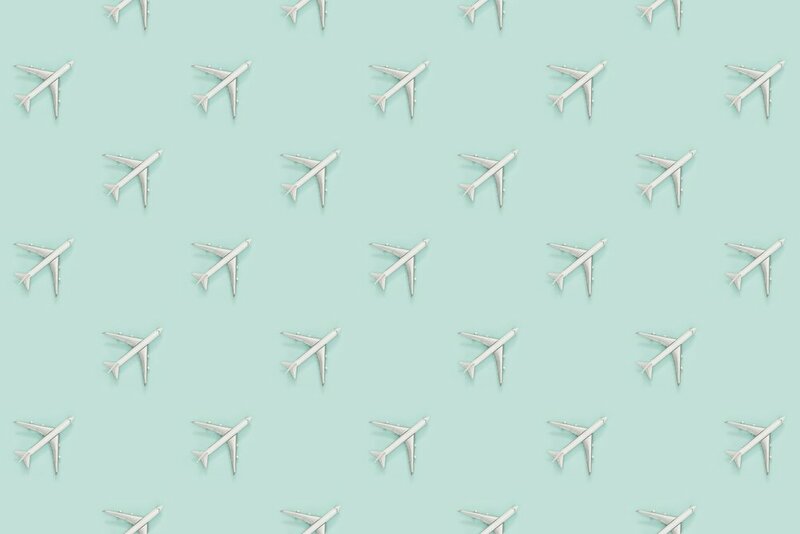 + TRAVEL PERFUME. I always pick the free perfumes samples when making a purchase on Sephora online so I can throw one in my TRUFFLE clutch! Click here to see the travel perfume options. + SNACKS. Bars (I like Larabar, RXBAR and Quest), nuts (I like raw cashews or almonds), popcorn (SkinnyPop or Smartfood), GG crackers (fiber! ), Liquid IV, probiotic (ok not a snack but important still). Interested in eating healthy while traveling? Click here for how to eat healthy while traveling. + FACE MASK. I always bring Summer Fridays Jet Lag Mask because the container is perfect for travel, it’s ultra-nourishing, and doesn’t look crazy when on. You can even apply it as a primer under your makeup if you are extremely dry! Click here to see the latest price. + SHEET MASKS. Sheet masks are the best because they provide a huge hydration boost and are so easy to throw in your bag. The Skinfood Hydro Fitting Snail sheet mask is my current #1 obsession. It’s drenched in snail mucin, aiding in healing, firming skin, encouraging cell regeneration, and replenishing moisture. Click here to see the latest price. Want more face masks? Click here for the best face masks for travel! + FACE SPF. You’ll almost never find me without the La Roche-Posay Hydraphase SPF lotion, especially while on the road. It’s extremely moisturizing, contains SPF, is small enough for a TSA-approved carry-on, and is in a plastic bottle which for me is a travel must. If you do not have an everyday face SPF that you love, try this! Click here to see the latest price. + SUNSCREEN POWDER. In addition to religiously applying SPF each morning, I am never without a Colorescience Sunforgettable Loose Mineral Sunscreen Brush for touch-ups later in the day when I feel as though my lotion might have worn off. It’s an SPF mineral powder that comes in a self-dispensing brush, making it perfect to keep in your purse or makeup bag. It’s also jam-packed with minerals, vitamins, red seaweed extract, and other amazing things to keep your skin flawless. You can get it with a tint or without and in a variety of different SPF levels. I kid you not when I say my grandma, my mom, myself, my best friend, my best friend’s mom, and even my dermatologist use and love this! Click here to see the latest price. + FOUNDATION. Actually technically I don’t wear foundation, just CC cream and BB cream. Click here for my favorite CC cream and click here for the BB cream I use all summer long! The BB cream is great for summer because it is lighter than the CC. + LEAK PROOF TOILETRY BOTTLES. These are an absolute must. I cannot even tell you how many travel containers I went through before I discovered these. They are completely leakproof, so easy to fill due to the large opening, and they are even food safe! Use them for shampoo, conditioner, lotion, soap, salad dressing — anything! Click here for the ones I use. + HANGING TOILETRY BAG. I keep this filled at all times with every toiletry I need for any trip. That way it’s so easy to just grab and throw in my bag without any thought or worries of forgetting something important. This one in particular is the absolute best I have ever found. So much so that pretty much anytime I travel to visit a friend and they see this toiletry bag they ask who makes it and go buy the same one themselves immediately! Click here to get one yourself. + EXFOLIANT TOWELS. These Korean exfoliant mittens are especially great for travel since they take up no space and are not liquid like a scrub! I keep one in my travel toiletry bag (above) so that I always have one handy. Click here to see the latest price. + SELF TANNING DROPS. If you are incredibly pale like me, these are the best! You just drop a few in your moisturizer and let them work their magic. Click here to see the latest price. + SELF TANNER. I personally don’t love showing up anywhere white as a ghost so I usually self tan prior to arrival! Click here for my favorite bronzing mousse. If you don’t have a tanning mitt (you’ll need one to apply it), click here for my new favorite. For your face, I am loving these self-tanning drops that you mix into your moisturizer. Click here for those! I use the dark ones. + WET BRUSH HAIRBRUSH. The only hairbrush you will ever use again. Click here to see the latest price. + TRAVEL STRAIGHTENER. A travel hair straightener is a good thing to have if you want to be able to do your hair but don’t want to commit to lugging around a full size (and much more pricey) straightener. I like this Babyliss Nano Titanium Mini Straightening Iron because it comes in a 1” version which is wider than most travel straighteners. Having the wider surface area cuts the amount of time it takes to straighten in half. And of course if you are really skilled a straightener can double as a curling iron so it’s kind of a 2-in-1. Click here to see the latest prices. + M. GEMI. For handmade shoes that are way better than all other shoes. Use code “CHRISTIE40” for $40 off. Click here for the most comfortable stylish walking shoes for travel. + REVOLVE, NORDSTROM, PRINCESS POLLY, & OTHER STORIES. For clothes, accessories, etc. + AMAZON. For everything! 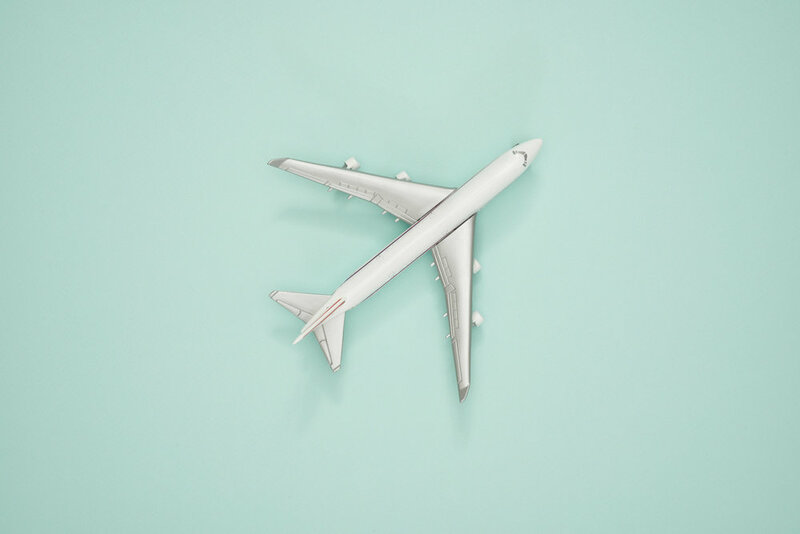 Click here for 20 must have travel products from Amazon Prime. + SEPHORA. For all beauty products! Click here for 21 Sephora beauty items I constantly restock. + SOKO GLAM. For all of my favorite Korean beauty products! 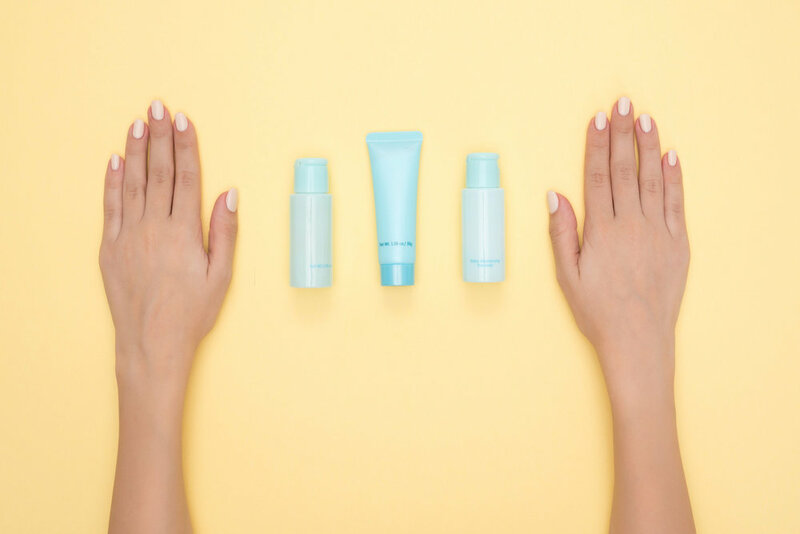 Click here for how to get glowing, hydrated skin with k-beauty and click here to get 20% off your first order at Soko Glam. + DERMSTORE. For all of my skincare. Click here for my favorite brand, Skinceuticals! + CUYANA. For premium essentials. Click here for more info on my favorite tote of all time.